May | 2015 | When Am I Supposed to Start Feeling Like a Grown-Up? 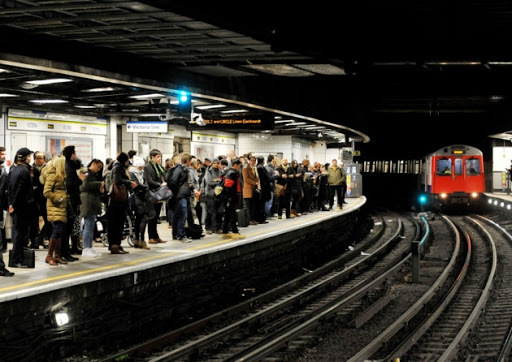 Since I started commuting to work again after 10 years of freelancing from my upstairs study, I’ve become aware of a phenomenon that can most succinctly be described as, ‘a whole lot of people who are acquainted, desperately trying not to meet each other’s eye on the tube platform in the morning’. You’re on your way to work. You’ve barely woken up. You’re looking forward to getting on the train and having half an hour to yourself where you can read, catch up on your emails, do your make-up – whatever you like. And there, on the platform, is someone you know. If your eyes meet, you’ll have to chat. And the worst of it is, not only do you not want that – but you know perfectly well they don’t want it either. And there’s absolutely nothing either of you can do about it. I’ve observed various techniques to get over this problem. Personally, I unfocus my eyes – as if trying to see the 3D image in one of those Magic Eye books – and walk down the platform unable to see anything clearly at all. This does mean I run the risk of bumping into the tube signage or wandering on to the track, but needs must. Other people have developed a sentence that they say as soon as you make eye contact. This ranges from the uncomfortably abrupt, ‘Oh hello I have lots of work to do on the tube today see you later bye’ to the infinitely more gracious ‘Isn’t the tube journey marvellous for being able to catch up on your emails?’. At the other end of the scale – and utterly unforgivable – are the people who hail you over as you’re walking down the platform, as if you’re at a bloody cocktail party. Please, those people! Stop being pleasant, gregarious human beings and join the morose and anti-social hordes around you who understand how to behave properly. This entry was posted in Uncategorized and tagged commuting, friendship, humour, London, people, trains, travel, underground on May 28, 2015 by feellikeagrownup.